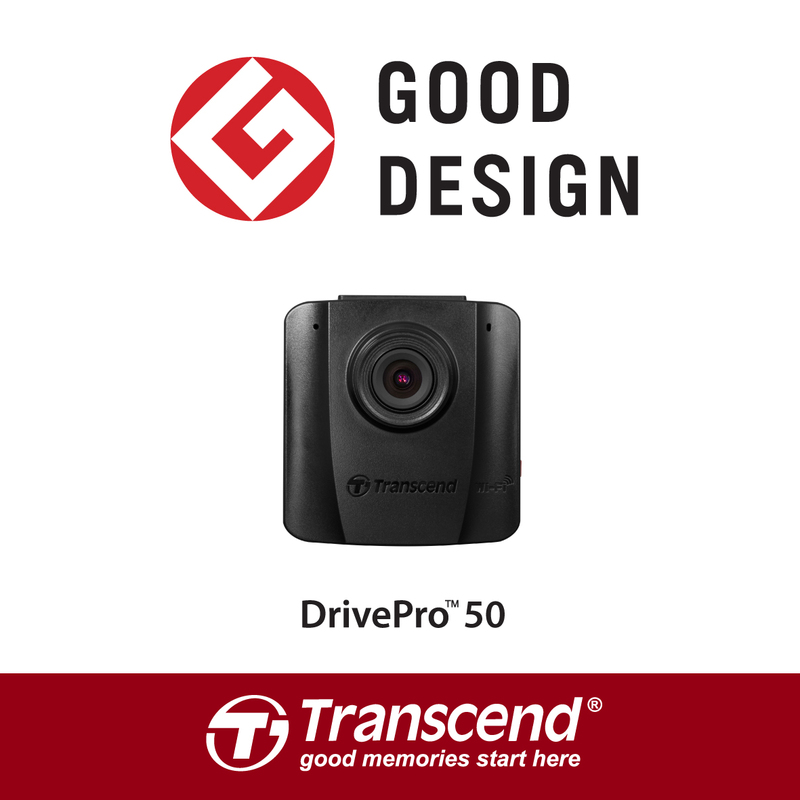 Transcend today announced that its DrivePro 50 Car Video Recorder has won the “Good Design Award 2016” for top design quality and groundbreaking design. The Good Design Award is one of the world's most prestigious design awards, with over 4,085 entries submitted from all over the world this year. Featuring an extremely compact size, the DrivePro 50 can be well hidden behind the rearview mirror without blocking the driver’s view. The DrivePro 50 also boasts a large F/1.8 aperture, a 130° viewing angle and a Full HD imaging sensor for clear and smooth 1080p video recording to capture all details of an incident during either daytime or nighttime. The DrivePro 50 also comes with a built-in Wi-Fi and the free DrivePro New App, which allows users to stream, download, and share videos on their smartphones and tablets. Besides, the built-in G-Sensor in DrivePro 50 will detect the impact and instantly trigger emergency recording mode. This prevents overwriting of the recording made of the critical moments leading up to the accident. The Good Design Selection System (or G Mark System) was founded in 1957 by the current Ministry of Economy, Trade and Industry in Japan. Submissions come from a wide range of fields, and roughly 1,200 designs are recognized every year. Over 59 years, around 43,000 designs have been recognized by the awards. Recipients of a Good Design Award are granted use of the G Mark symbol, which has been an emblem of good design for over half a century. With over 20 years of technical experience and expertise, Transcend has received many prestigious design awards, including Germany's iF and Red Dot awards, Japan's Good Design award and Taiwan's Innovation awards.